Set 125 years before the events on Tranquility that sparked the creation of the Human Legion, ‘Alien’ meets ‘Aliens’ in this standalone novella featuring Lance Scipio in his first combat mission. The Demons of Kor-Lir also makes a compelling introduction to the Sleeping Legion novels and also hints at what awaits the Sleeping Legion at the end of its first campaign. This is the second installment that I have read.... 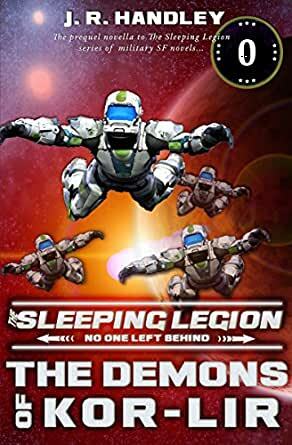 I started with The Legion Awakes - Book I. I then "enlisted" in the Legion and received the novella. The only issue that I have is that I do no know where in the compendium I am... this id Book 5 - yet a prequel? While I do not necessarily mind starting in the middle of something when I find something new I like. If I choose to follow it, I am a "completest" or OCD that way and want to start at the beginning. As for the story, the characterizations drew me in from the start. There may need to be a little more background to bring "cherries" up to speed. Overall, fairly enjoyable.